Music is found everywhere on la isla bonita. In bars, restaurants and in the comfort of your own hotel. As you can see, this tourist got inspired by the mood of the tropical sunset and started playing his ukulele on the balcony of the Sanpedrano's Hotel. 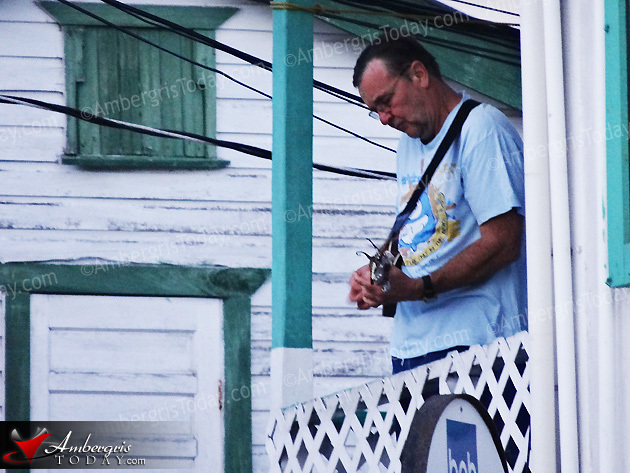 It is always great seeing tourist enjoying themselves musically and most of all getting inspired in Belize.